Ever since november 2004, when I really was reintroduced to the internet, I have been a fan of groups and it is fair to say that so far all my experiences have been on Yahoo groups. It seemed important to me, now that I am making my own website that I will share the groups with you that I own, that I'm a moderator on or that in any other way have been or still are important to me. In the list below you will not find any of the dutch groups, this really made no sense to me because this is anyway the english section of my website. If you can read Dutch, you can go to the Dutch part of this website and find Dutch groups there. there are milions of groups out there, the ones on the list are groups that in one way or another I have or had a connection to. I hope you will have a pleasant time exploring them. Worldwidefriends ::: A group that i started in march of 2005, for people all over the world to meet online and talk about all kinds of things that would interest them, also a sort of cultural exchange. Another reason I started this group was a sort of attempt to get my Dutch friends and American friends to get to know each other and communicate with each other, I didn't really succeed in that. I still have the group although it's a bit quiet now and could use some new members and refreshing ideas. BeeGeemiracleshappen ::: BeeGeeMiraclesHappen, from now on called Miracles, is a group started by Cathy for people who are interested in the Bee Gees, but it has slowly changed into a talking and music sharing group. Cathy decided to leave this group in august 2008, and gave it to me, Audrey and Shelley. We are considering a name change and some other fchanges, but anyway this is a fine fun group. Celine_Dion_the_power_of_love ::: My own Celine Dion group, to talk about Celine and her music. This group could use some activation and members to come and join. Backstreet_Boys_Forever_2005 ::: A Backstreet Boys news sharing group which is very low traffic, I am not an owner or moderator on this group, just a member. 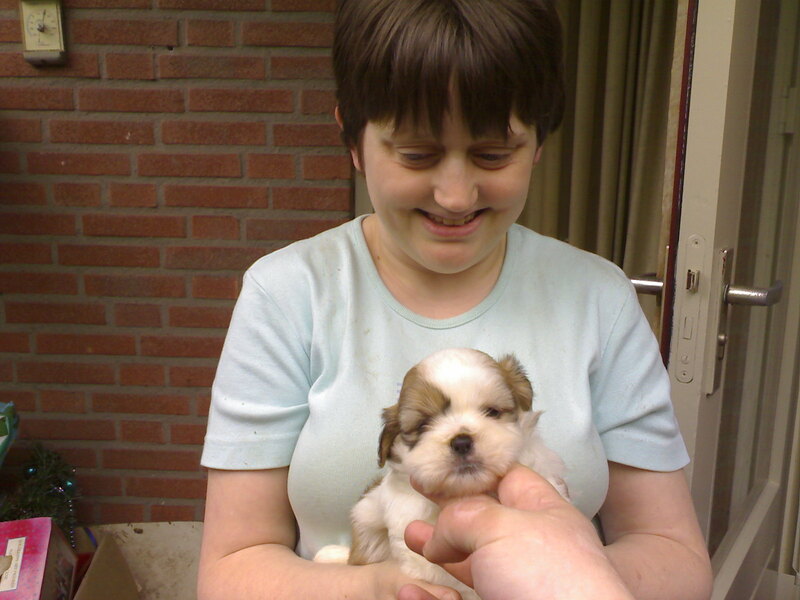 Shihtzuland ::: A group to talk about Shih Tzu doggies to which I am a member. Do you have a shih tzu like I or are you considering having one, this group might then be of interest to you to share training tips and experiences. Blindforum_maine ::: a group for and about blind people who live in Maine, but also many other blind users including me are on this list. I found this group by accident when searching for something else and I am glad I joined. Like I said before, this is just a short list. If you do know of any groups that should be on this list, please let me know using the Contact form. Please let me know how well you know those groups as well.